Dehydrating – not drinking enough water will cause the blood vessels around the eyes to shrink and therefore the area will darken. Bad diet – a diet high in sugars and carbohydrates retains water and can dry up the skin. A natural lightener, baking soda is basically a type of gentle, natural bleach which will lighten the area. Gently exfoliates to soften and brighten the skin. Is anti-septic and anti-inflammatory therefore also reducing puffiness. Balances pH level of the skin, resulting in smoother, softer, and clearer skin. In a small bowl, mix the baking soda with the liquid of your choice. Mix until a runny paste forms. You may need to add a little more liquid or a little more baking soda. Play around with the mixture until you get a runny paste. Dip a cotton ball or pad into the mixture and gently dab underneath the eyes. Leave on for at least 20 minutes or even overnight. Gently rinse and pat dry. 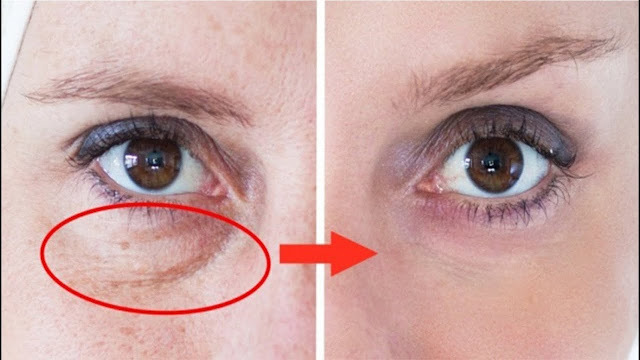 Repeat once a day for 2 weeks, and every other day thereafter until you no longer see dark circles.